Millets are amazing. Most people would have seen sorghum and pearl millet in the fields growing to more than 8′ in height, and among traditional varieties, 10′ is totally the norm. Some might have noticed how these amazing plants put secondary roots from their collar nodes to support themselves as they grow. On reaching reproductive stage, the grain filled panicle at the apex of the plant can easily weigh about 300 gms. So, one can approximate the plant to a cylinder with about 2″ to 3″ diameter and a height of 120″, held at one end, with a 300 gm weight at the free end. So its not really surprising that purely from a physical dynamics perspective they put down secondary roots from not just one, or two but even three nodes as seen in this image below. I am sure I am not alone in seeing the many beautiful math and physics concepts that one can explain, demonstrate and possible experiment with in this amazing natural wonder. 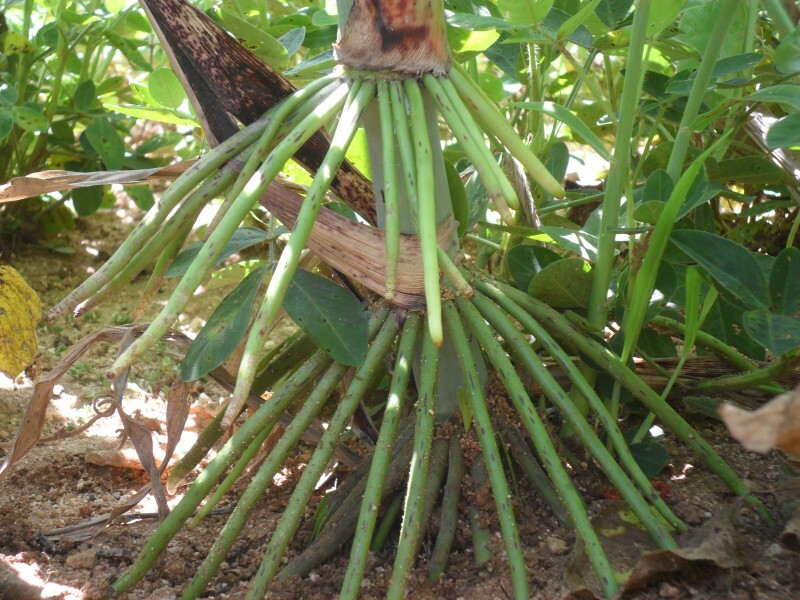 Secondary roots of a traditional bi-color variety of Sorghum (సీతమ్మ జొన్న) as seen in a farm in Mandavarapalli, Chittoor Dt., AP. on Oct 19th, 2015. And then there is the physiology of the structures. More on that in a later post. 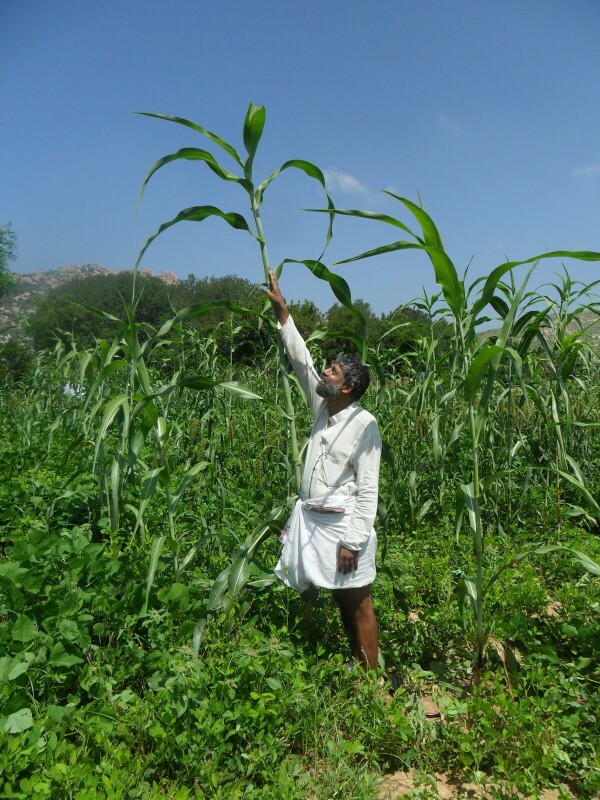 Posted on October 22, 2015 by DwijiPosted in MilletsTagged millets, roots, secondary roots, sorghum, stability, wonders in a farm.